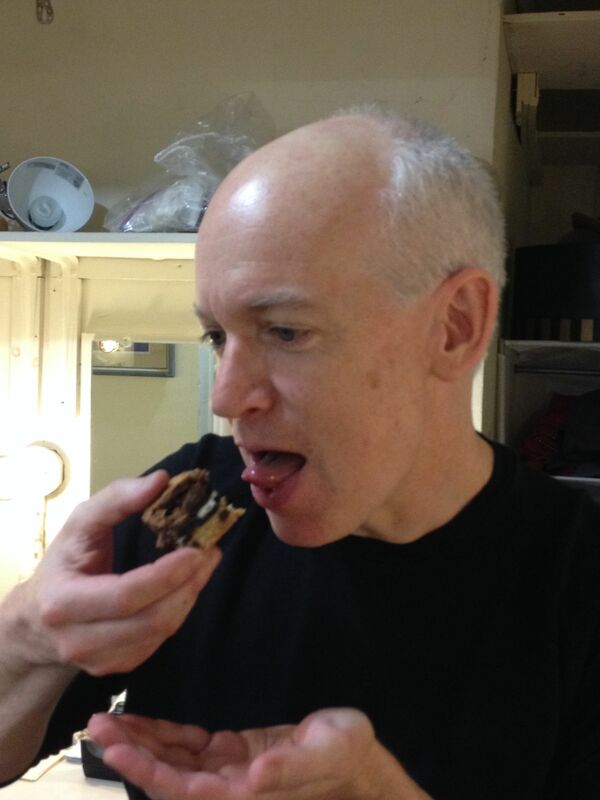 These are just the epitome of decadence. 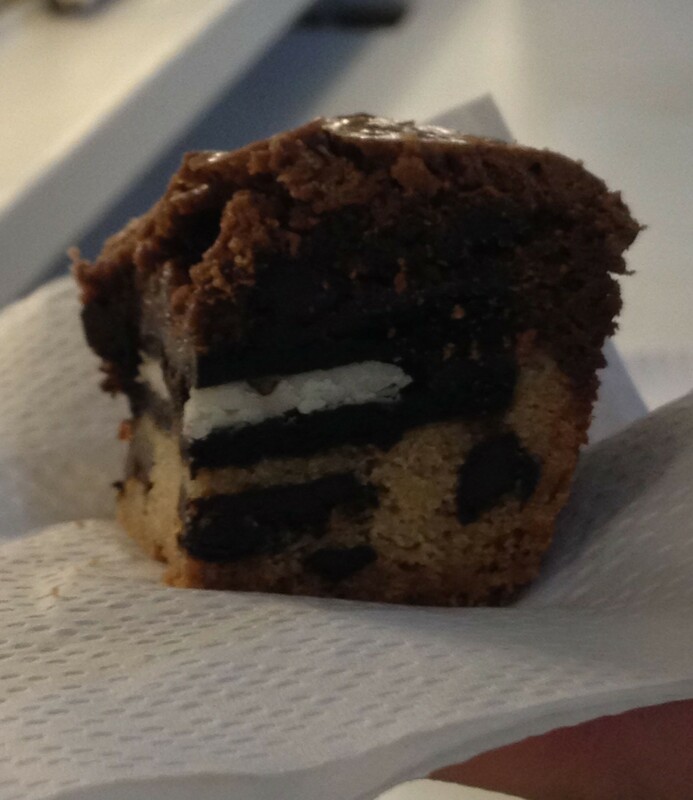 I mean, brownies with a chocolate chip cookie AND an Oreo cookie layer???? 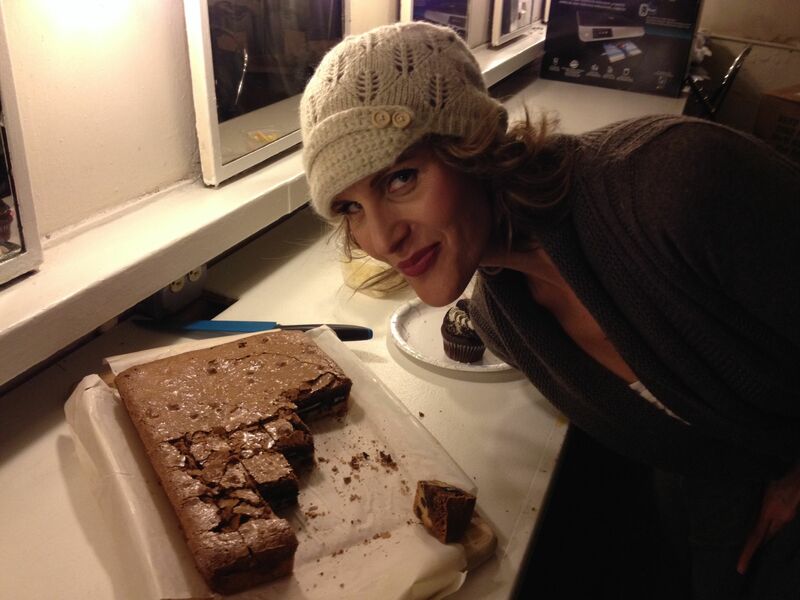 I must admit I take issue with them being called “Slutty” Brownies (I mean, why not “Dirty Boy” or “Gigolo” Brownies??) but that’s what they’re called, so . . .
1. Preheat the oven to 350 degrees Fahrenheit. 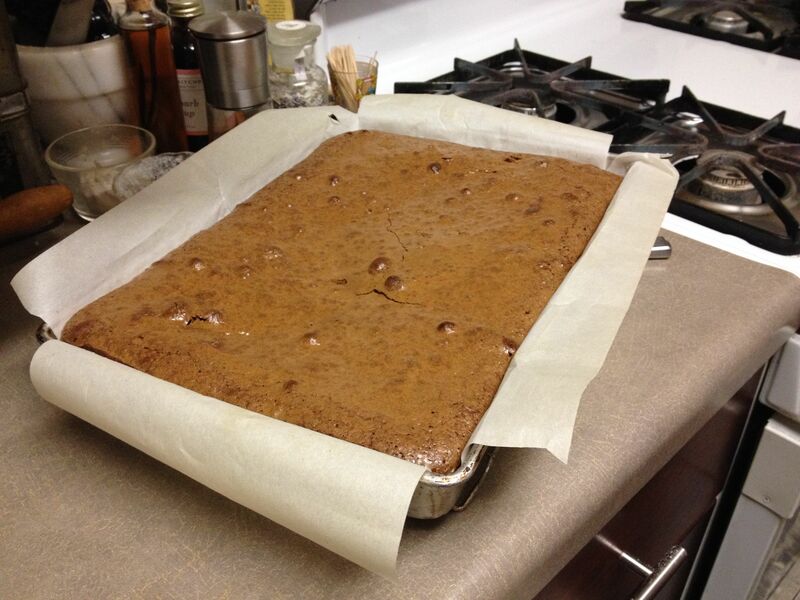 Line a 9×13″ brownie pan with parchment paper and grease the paper. 2. For the cookie layer: Mix the wet ingredients for the cookie layer (egg, butter, and vanilla) with the sugar until smooth. 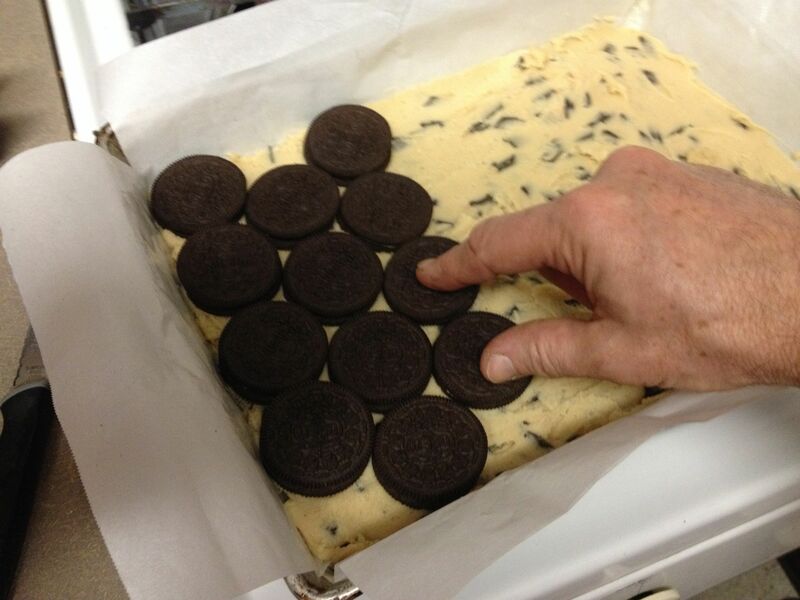 Mix the rest of the cookie layer ingredients except for the chocolate chips. 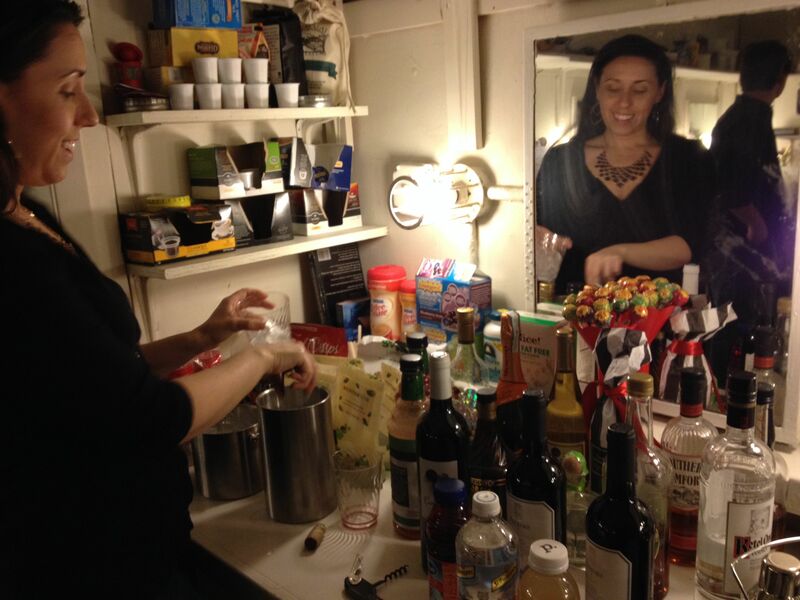 Stir into the wet ingredients in small increments into everything is well mixed. Stir in the chocolate chips. Pour into the pan and cover the entire bottom surface evenly. 3. 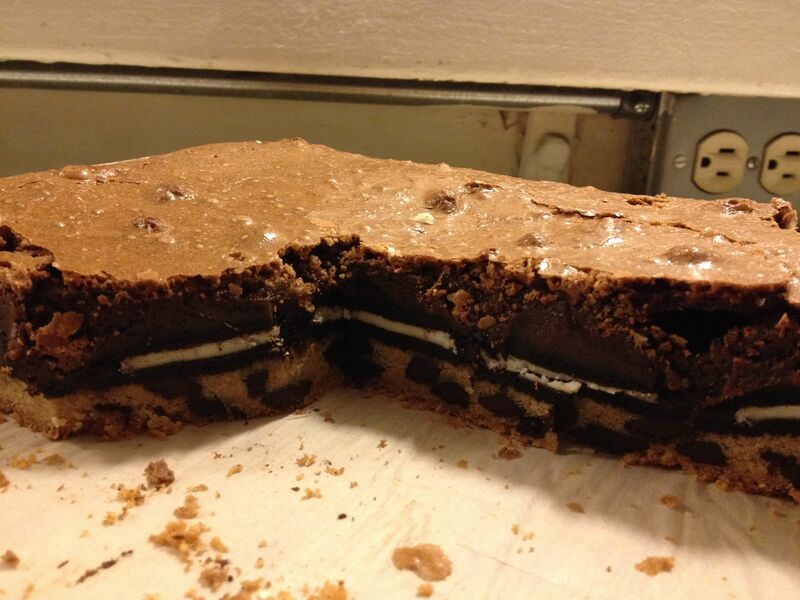 Add a layer of Oreo cookies on top of the chocolate chip cookie layer. As much of the surface should be covered as possible without overlapping cookies. 4. For the brownie layer: Whisk the cocoa powder into the boiling coffee until there are no clumps. Add the oil and butter, and again stir until smooth. Mix in the eggs and vanilla, making sure the mixture before adding is cool enough the eggs will not cook. Once this is all smooth, stir in the sugar.Stir in the flour, salt, and mix until smooth. 5. 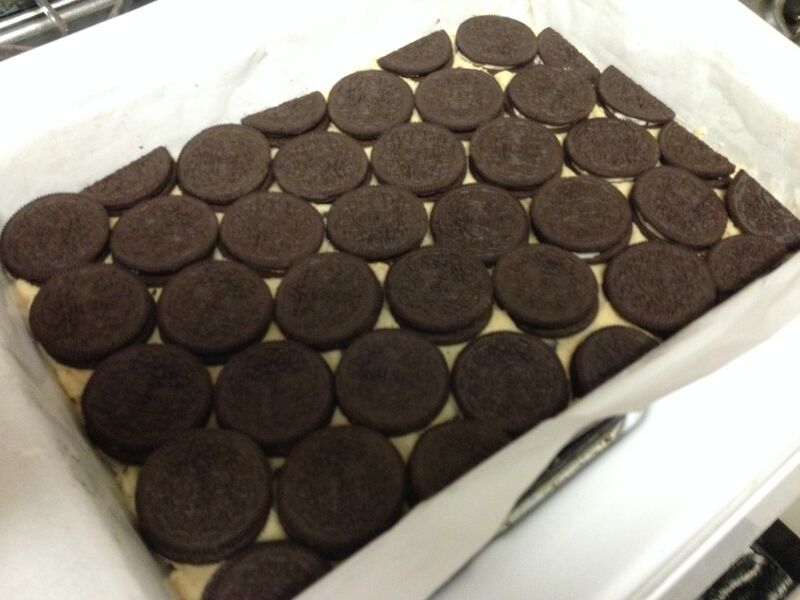 Pour the brownie batter all over the Oreos. Bake for an hour. Allow to cool for two hours before serving. 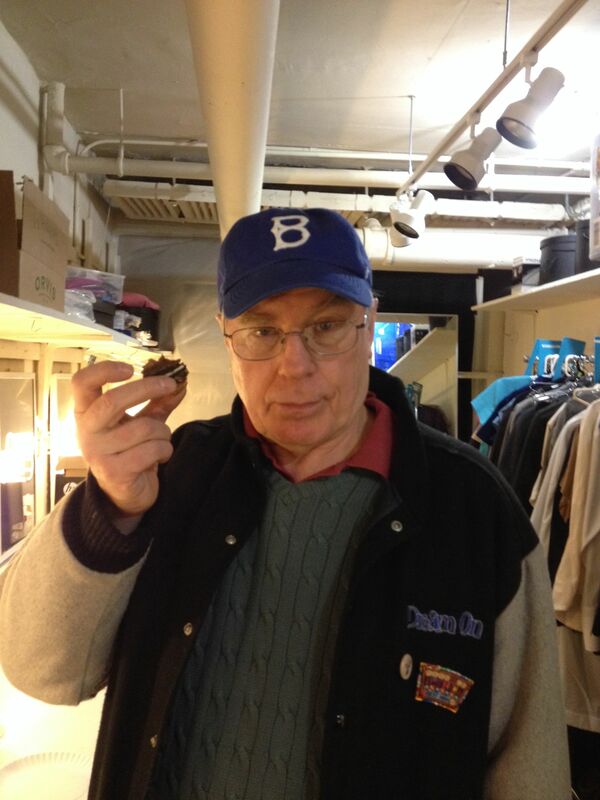 Michael McKean enjoying a taste.